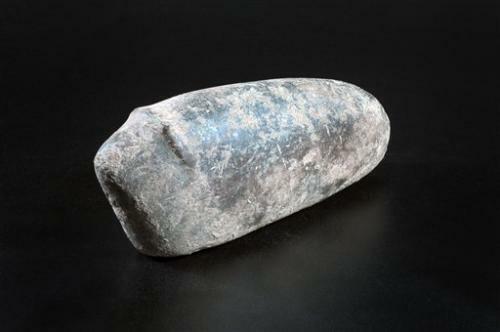 IAA believes relics date from New Stone Age period, when early humans began transitioning from nomadic to sedentary life. All ancient roads may lead to Rome, but Highway 1 leads from Tel Aviv to the New Stone Age approximately 9,500 years ago – or so archaeologists believe after discovering animal figurines during the expansion of the highway. Archaeologists discovered the figurines of a ram and a wild bovine in Tel Moza, a rich archaeological site in the Judean hills outside of Jerusalem. 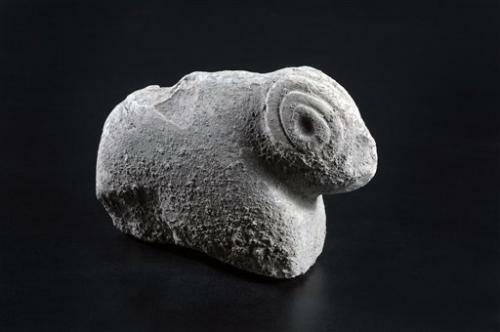 The ram, made from limestone, has intricately carved horns and is about 15 centimeters. “The sculpting is extraordinary and precisely depicts details of the animal’s image; the head and the horns protrude in front of the body and their proportions are extremely accurate,” said Dr. Hamoudi Khalaily, one of the co-directors of the dig from the Israel Antiquities Authority. The second figurine is more abstract and depicts a large animal with prominent horns that could be a wild bovine or buffalo. Khalaidy said the object most likely dates from the period when early humans began the transition from nomadic hunting and gathering to sedentary life based on farming and grazing with permanent settlements. “The Pre-Pottery Neolithic B period (the eighth millennium BCE) is considered one of the most fascinating chapters in the history of mankind; many changes took place in it that shaped human society for thousands of years to come,” he said in a statement released by the IAA. Anna Eirikh, the other co-director of the dig, believes that the figurines are linked to the process of animal domestication, as the inhabitants began to build complex societies and agricultural villages. But Khalaily believes the figurines were used as talismans. “Presumably, the figurines served as good-luck statues for ensuring the success of the hunt and might have been the focus of a traditional ceremony the hunters performed before going out into the field to pursue their prey,” he said. Archaeologists have discovered a wealth of objects at Tel Moza, including stone age tools, objects associated with funerals and cult rituals, and other artistic objects.